Homemade Pimento Cheese - with TWO cheeses! 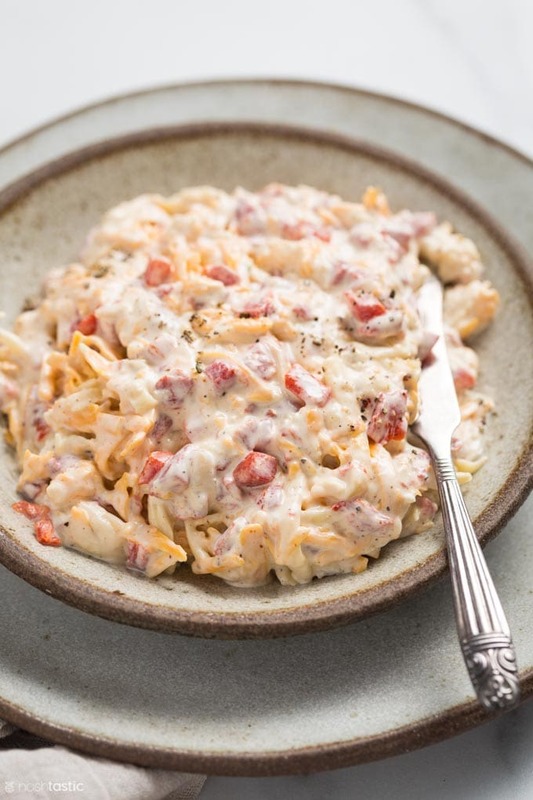 Classic homemade pimento cheese is, in my opinon, the epitome of Southern Cuisine. At first glance it’s just another cheese dip, but it’s so much more than that! After I moved to Mississippi ten years ago I was quickly introduced to real Southern pimento cheese by a good friend. I learned that the natives are very opinionated about the particular ingredients that go into it, though there are slightly different recipes in almost every Junior league cookbook I read. 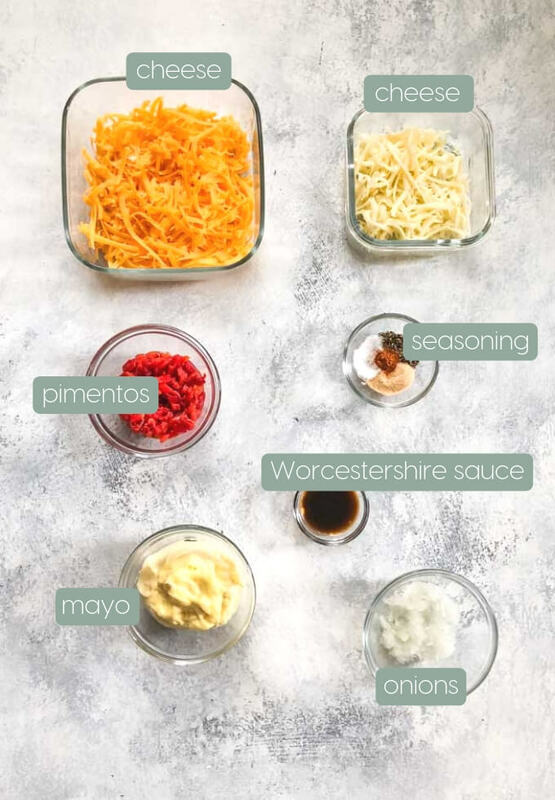 However, all the recipes have some ingredients in common including pimentos, mayonnaise (usually Duke’s if you want to be truly authentic) and a variety of cheeses, and then there’s some variance on the other additions, but that’s essentially it. If you can squeeze out a little onion juice it adds a fabulous flavor to your cheese dip. We used two types of cheese to vary the flavor a little, but plain cheddar works well too. If you can plan ahead and make this a day or even two days before you need it, it will taste so much better! If you want it smoother you can pulse it a little in a food processor, but we love it a bit more chunky so didn’t do that. 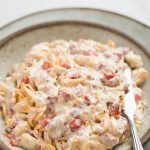 It’s a perfect low carb cheese dip, we served it with my keto low carb crackers, they go really well together! So don’t tell grandma, but the shocking truth is that Pimento cheese did not originate in the South. According to Serious Eats it was first created way back around 1910 when Good Housekeeping magazine published a recipe  that included soft cheese, mustard, chives, and minced pimentos. 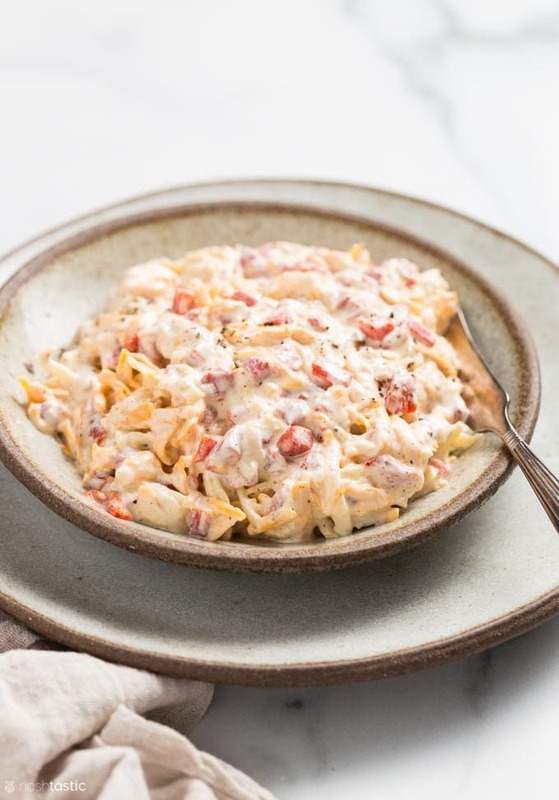 In the years following pimento cheese was created on an industrial scale and marketed in jars from Oregon to Wisconsin and even making it as far south as Alabama. Shortly after that farmers in Georgia began growing and processing pimentos to meet the increasing demand for this tasty little pepper, which was shipped all over the USA at that point. 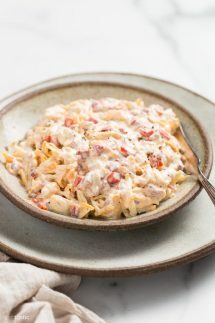 Over the last twenty years Southern cooks have been recreating and promoting homemade recipes for pimento cheese in cook books and on restaurant menus, and of course on recipe websites like this one, so it’s now firmly established as a Southern staple. Carefully mix in the grated Cheddar and Monterey Jack Cheese. Cover and chill in the fridge for a few hours before serving to allow the flavors to meld properly. Will keep for up to a week.